Today was a fascinating day. I quickly discovered that trying to describe and fully understand a 3,500+ year old spiritual practice like the Enneagram is not possible. I was hoping that we would just take some sort of test and then spend a few days talking about the results of our test with each other. NOPE! Google it and see what I’m discovering this week! One of the great things I learned today came through this illustration. 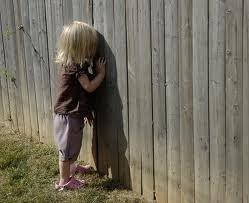 There are several of us who walk up to a fence that has a bunch of holes in it. We all look through the holes at exactly the same time. We are looking at exactly the same thing, in exactly the same direction. We spend a few minutes looking. Then we stop looking through the fence and describe what we saw. Remember, we are all looking through the same fence, at the same thing, in the same direction, at exactly the same time. Is our description of what we saw all sound the same? How could this describe who we are as children of God seeking to follow Jesus? Or, how is does this express a truth about who we are as followers of the risen savior Jesus Christ that may be Methodists or Pentecostals or Roman Catholics or Lutherans or even Baptists? We are all looking through the fence and seeing Jesus, but experiencing our life in Christ in very different ways. But…are they really different? When you see Jesus, what do you see? I’m thankful to be able to share what we are seeing with each other. My prayer each day is that these experiences are challenging us to grow in relationship with each other and our God through a savior named Jesus Christ. 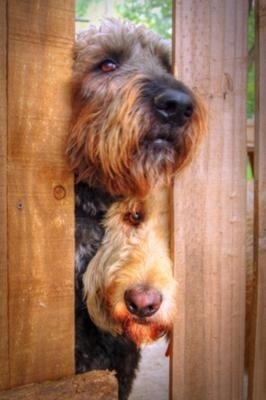 Blessings to you as you peek through the fence today! This entry was posted on Tuesday, July 16th, 2013 at 12:19 am	and posted in The Church in The World. You can follow any responses to this entry through the RSS 2.0 feed.